This is invest 91L now. Central Gulf coast gonna have to watch this one. Projected to become a hurricane before landfall now. 06z GFS is a bit aggressive with development, shows pressure dropping to 986 in 30 hours, down to 960s in 48-60 hours out. I don't think that's likely but it could happen. There's still a good bit of wind sheer. All global models appear to bring this to a hurricane regardless, and NHC estimates cat 1 at 75mph prior to landfall. Get all your Arrested Development jokes ready. 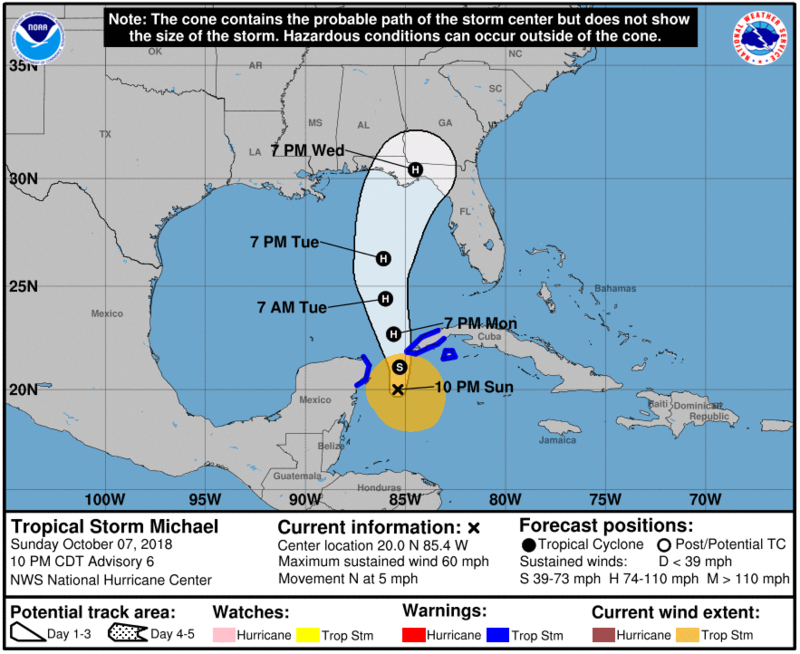 Tropical Storm Michael now. Still moving that track to the east. Glad to see that for sure. A few of the models bring Michael to major hurricane status before landfall. This thing is scaring me big time. 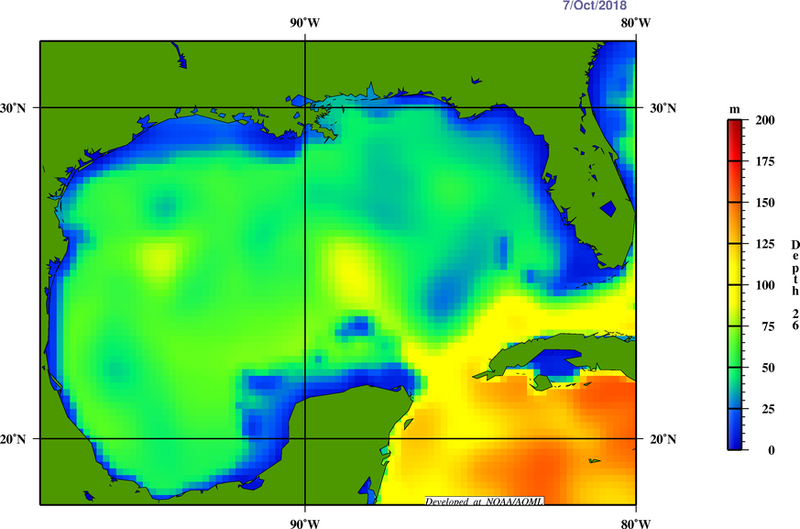 It could pull a Harvey in the Gulf except right on the AL/FL doorstep..
An interesting thing to watch for occurs overnight tonight, and that’s to see how much it accelerates, and if it accelerates more northwest. If it’s moving pretty quickly, and going more northwest I’d look for models to adjust back west more in line with the GFS. I want this to come to my backyard so I’m hoping for this tonight. Michael is now a Hurricane. Agreed although I think Michael has started out as a larger storm than Opal was. 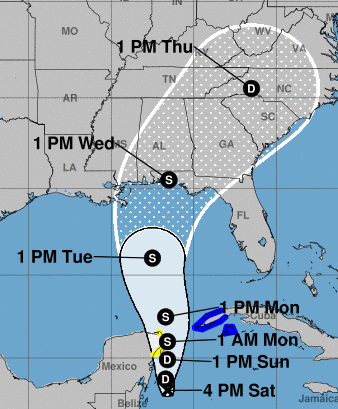 Unfortunately, I think a shift back west for the NHC track is very possible. How much further west will depend on several factors, but I think a number of the models were a bit too far east in recent runs. 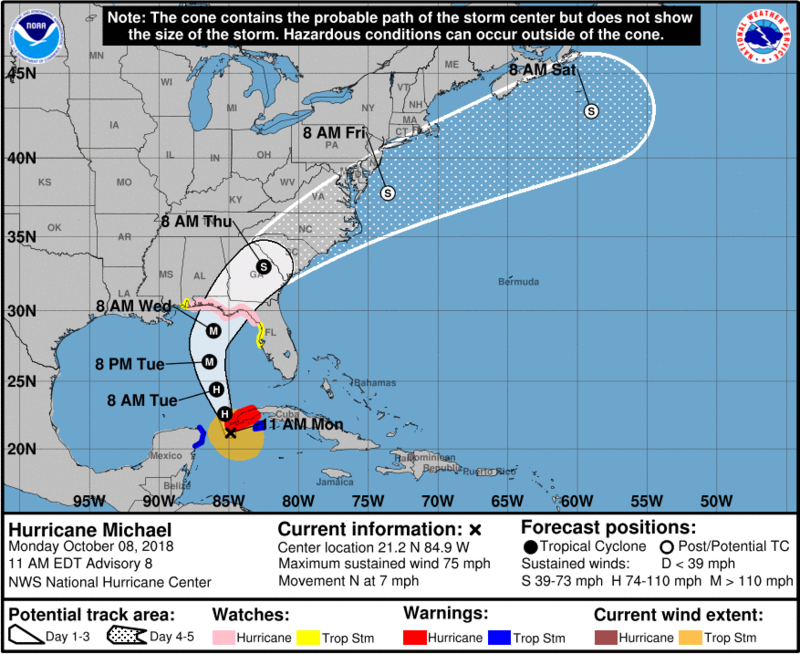 I'd be surprised to see Michael end up west of Pensacola, but a hit somewhere around Navarre to Miramar is my current thinking. @Jack Watkins you packing up or do you have your American flag and shotgun ready for a high rise photo op? 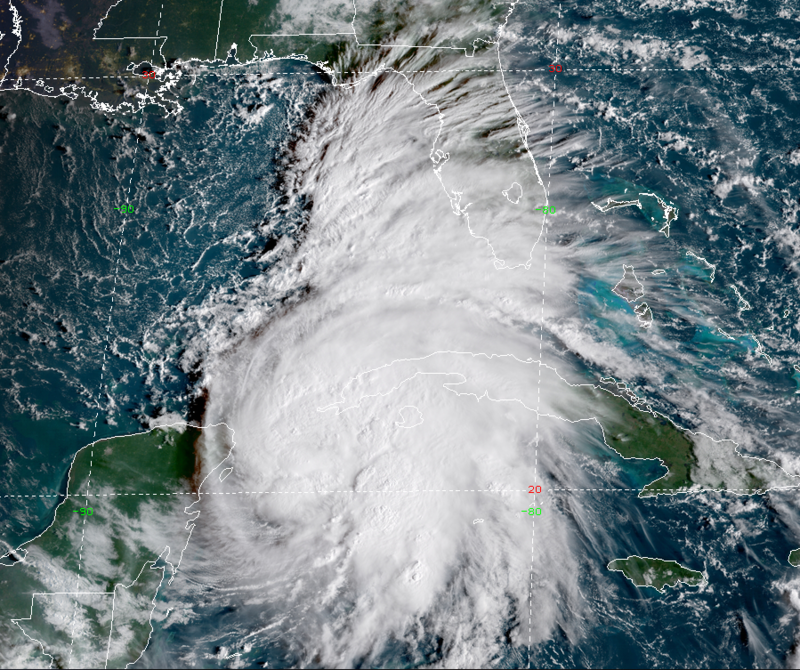 Michael is currently projected to be a major hurricane by landfall. I'd be concerned if I was a coastline banana stand right about now. Was on vacation for a week right along 30-A back in July and was initially planning a short fall break trip as well before I had to cancel for other reasons. Looks like the eye could be passing right over where I stayed. Wish I could set up some cameras there. It has fuel to work with. Unless something unexpected happens, this is going to be one very expensive and damaging storm.